The array of inviolable limits we confront today is sufficiently wide-ranging that a person could legitimately question considering them in one place. Certainly they pertain to very different parts of our lives. They are also of different sorts—physical realities; limits to the usefulness of past policies, approaches to leadership, and institutional structures; and more basic philosophical limits. But today’s new limits share critical characteristics. For one, we don’t have the option of avoiding them. Second, many are inviolate. They offer no obvious way forward. That they seem to offer nowhere to go has critical implications, certainly for how we relate to them. It is understandable that we might do our best to keep inviolable limits at arm’s length. Usual thinking offers only victory and defeat as available options. And inviolable limits take away the possibility of victory, at least in a conventional sense. I suspect that the growing inescapability of inviolable limits contributes significantly to our modern crisis of purpose. In a very deep way, many people today feel defeated. But something also occurs when we recognize and accept inviolable limits that alters this picture. While we lose traditional options, we also see hints of further possibilities that lie beyond such seemingly end-of-the-road implications. At least we recognize that acknowledging such limits and responding to them intelligently could help us avoid some of the worst of potential outcomes. But there is also more that we may at least feel suggested. When we engage inviolable limits maturely—wisely—they often reveal options not otherwise conceivable. For now it is enough to note that the idea of a needed, and newly possible, collective “growing up” supports the conclusion that inviolable limits are not just necessary to address, but that we are potentially capable of addressing them. Engaging such limits is much of what will define the decades ahead. Cultural Maturity also suggests that such engagement necessarily goes beyond just acceptance and toleration—though mature perspective is needed for any fullness of understanding. The ways we think about such constraints —often even the fact that we see such constraints—are tied to outmoded ways of looking at the world. Engaging real limits maturely predictably reveals previously hidden options and previously unrecognized fulfillments. All this would seem to present a more positive picture than we might expect a confrontation with ultimate limits to produce. But we need to carefully tease apart just what this picture describes if we are to avoid unhelpful conclusions. Confronting inviolable limits requires, again, that we think in new ways. At the very least it requires that we step beyond the language of victory and defeat. Defeat is just that. And victory, limited to past ways of thinking, would require that we create some new story of limitlessness to replace the one we have lost. Mature perspective doesn’t look for a way to make inviolable limits less formidable. Indeed, it only emphasizes their ultimate impenetrability. Two kinds of distinctions help clarify the task and where it takes us. First, we need to distinguish two kinds of limits with very different implications. Second, we need to better understand the response the second kind of limit—the sort we have interest in—requires. First, our two kinds of limits: Some limits are made to be challenged. Roger Bannister broke through the mile’s previous four-minute barrier. The Wright brothers offered that we might, like birds, transcend earthly constraints. Limits such as these—to how fast we can currently run and to our options in the face of gravity’s might—call for a heroic response. They are adversaries to overcome. We appropriately celebrate if we succeed, and see ourselves as failing if we do not. Inviolable limits, on the other hand, cannot be overcome. They are inherent to how things are. Bring a heroic worldview to any of the limits just listed and we will not only fail to overcome them, we will make the dilemmas they alert us to much worse. Deny environmental limits and we destroy the earth, our home (and the only place ultimately we have to hide). Deny economic limits and we wreak havoc on economies. Deny limits to what we can be for each other and we undermine our ability to be anything for each other. Deny limits to what we can control and our actions drive systems out of control. A response that for the first kind of limit would be bravery, for an inviolable limit becomes its opposite: at best ignorance, at worst, denial and cowardice. Our second distinction turns to our options when it comes to this second kind of limit. Cultural Maturity’s changes don’t make our second sort of limit any less inviolable, but they do alter our felt relationship to such limits and the possibilities we are able to entertain. They help us appreciate limits as more than just obstacles—to defeat or be defeated by. At the least, we better see how inviolable limits can hold valuable lessons. Accept the fact of real limits, and pretty quickly they become teachers. New physical/environmental limits teach us about the necessity of more sustainable choices and policies. New economic limits begin to teach us about the importance of rethinking priorities. New global scale limits remind us that “no man is an island” at a new level of significance. New psychological/social limits encourage deeper levels of self-reflection and self-understanding. And, as we shall see, such basic lessons are just a start. 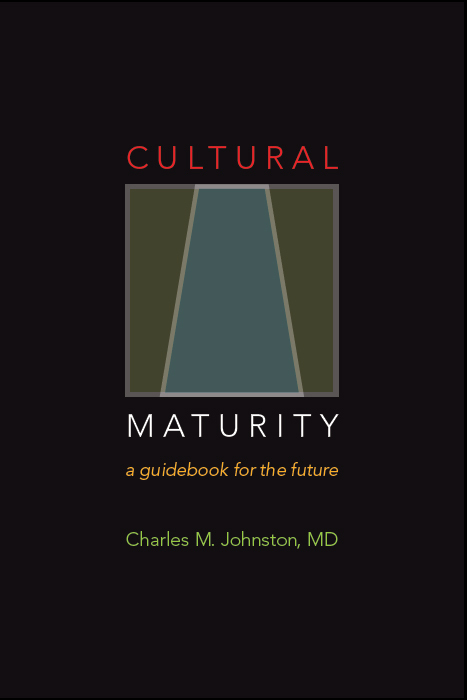 Cultural Maturity’s more expansive vantage makes possibilities visible that before were simply not there to see. A simple personal-maturity example helps illustrate the necessary third option beyond victory and defeat and some of this option’s rewards. It also illustrates how what we are talking about requires that we get beyond usual ways of thinking. Remember being a child and learning to handle money. At first we don’t think much about limits. We tend to assume “ there is more where that came from” (in this case, generally our parents). Later, we realize that real limits exist and that there are consequences for spending money that we do not have. We learn to budget or to at least be a bit smarter in our spending. This is a good and positive thing. Certainly it helps us avoid unfortunate consequences. It is a kind of lesson most of us learn whether we like it or not. This, however, is not what I’m referring to in talking about a mature relationship to limits, or at best it’s a start. Later we will look at how the analogous achievement can be but a first step when it comes to addressing cultural challenges ahead. It is better than denial—in the above example, pretending we can spend what we don’t have or clinging to some new dream of limitlessness like winning the lottery. But just recognizing that we need to “grow up and be responsible” by itself doesn’t provide a greatly inspiring picture—or, ultimately, guidance that can effectively take us forward. For managing money to work as analogy, we need another step in the learning, one not so common. Our interest lies with not just tolerating limits, but engaging them deeply, and the changes that result. Once we fully accept the fact of real limits, they stop feeling like unfair constraints and become simply attributes of what is, and attributes with important lessons to teach. Accept that we have only so much to spend and we begin to ask just what is important enough to spend our limited resources on. We become more intelligent in our relationship to money and more intelligent in our choices more generally. I often share this story when working with clients who are dealing with issues of limits and values in their lives. I follow up by saying that I have found this guidance invaluable. To have a totally reliable “formula” for life, you need only add two questions: What for you is paint? And what do you want to use your “paints” to create in your life? To ask these questions deeply requires an acceptance of ultimate limits. But guidance of an ultimate sort is the result. Are these not, today, the central questions we face as a species? What exactly is it we want to create together? 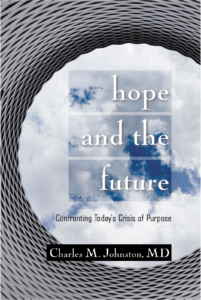 (What does a future of significance and stability look like?) And what for us is paint? (What are the ingredients we need in order to create such a future?) Confronting limits pulls these questions to the forefront. And the cognitive stretching that maturity’s threshold demands of us makes answers of the needed sort newly available. Nothing in this example is about denying limits or finding some magical way around them, sneakily slipping into some alternative heroic, limits-denying story. But neither is this example about begrudgingly accepting limits as constraints to life. It is about understanding limits as inherent to life. Ultimately it is about appreciating limits as necessary to life. We can tie the needed new task with regards to limits directly to our previous chapter’s reflections on the demands of modern complexity. The same maturity of perspective that makes it possible to appreciate complexity in mature “living” terms is what makes possible the needed new felt relationship to limits. With the more complete picture of complexity that comes with Cultural Maturity’s cognitive changes, limits become more simply part of how things work. We also better see how engaging limits can help us with our overall understanding and bring us to a deeper sense of fulfillment. Limits, in the end, return the favor. What limits ultimately teach us about is the meaning of maturity, the full richness of our “living” complexity, and the new options made possible by a mature relationship to our all-the-crayons-in-the-box systemic natures. We stand, again, at our now familiar threshold. Confronting inviolable limits makes clear that they cannot be defeated. But it also opens the door to new options, and not just any options, but the new possibilities and fulfillments that come with mature perspective. Effectively addressing particular inviolable limits also engages us in the more general mental stretching through which the broader understandings of culturally mature perspective become realized.